You just have to look at the way kids are with dogs to realise that they are a great combination. When was the last time you saw a child looking miserable when playing with a pet? The chances are the answer is never. There is a synergy between children and animals that is a joy to behold, so it is fairly obvious that pets are good for kids. But, did you know that science backs that feeling up? Well it does. Over the past few decades, there has been quite a bit of research carried out into how owning animals affects humans. The results are both interesting, and revealing. Pets benefit people in many different ways, especially kids. Researchers from the Nordic countries carried one of the most interesting studies available on the subject. The mixed discipline group of researchers followed 397 babies from birth. They tracked the health issues each child had during their formative years. The aim was to work out if exposure to pets and/or farm animals was good or bad for their health. Surprisingly, the kids that lived in pet and animal free households were nowhere near as healthy as those who were exposed to animals during the first few years of their lives. Kids in homes where animals were a part of daily life had a far lower risk of asthma, they also contracted fewer ear infections. Kids love to chat with their dogs, and to read to them. Researchers in the US noticed this behaviour, and wondered what impact that had on a child’s ability to learn to read. The answer was that children that regularly read to their pets were better readers than those that did not get the chance to do so. Dogs are attentive listeners, so kids love to read to them, which means that they practice their reading skills more often. As a result, they make faster progress than those who only have their parents or older siblings to read to. Recent research carried out by the Cummings School of Veterinary Medicine showed that children who had been raised with a dog in the home often became adults that are more confident. They found this out after studying 500 18 to 26 year olds, and testing their socialisation skills. As you can see making a dog a part of your child’s life brings many potential benefits. If you do decide that you want a puppy, for your family, I suggest that you have a look at the Douglas Hall Kennels website. There you will find great information that will help you to decide whether getting a dog is a good idea for your family, and decide which type to buy. Key to finding a healthy dog, that will fit in well with family life is buying from a good breeder. The last thing you want is a dog from a puppy farm. 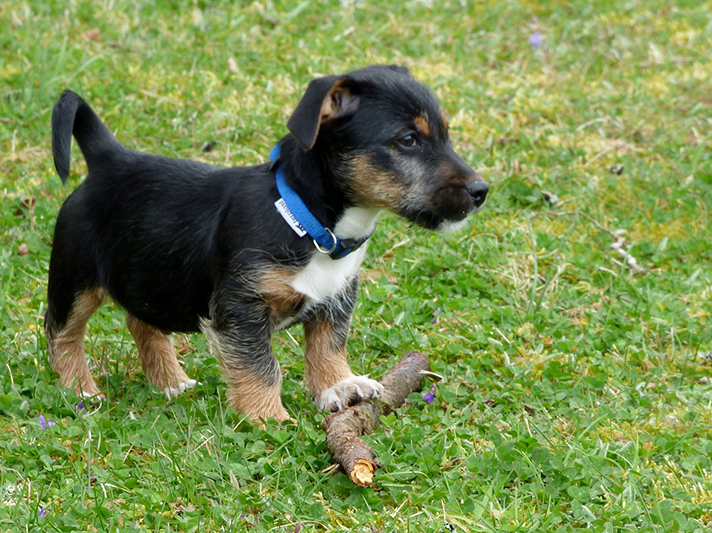 Puppies from these sources are far more likely to have health and behavioural problems. Not to the mention the fact that you really do not want to be providing people that are cruel to animals with an income, by buying from them.